Colby Sharp's students and my students are celebrating Picture Book Month together. We're kicking off the festivities today. Please head on over to Colby's blog to read our plans. Colby and I tried our very best to create a well-balanced list of nominees. We could have selected 100 books, but for the sake of time, we agreed on 20 outstanding titles. hello! hello! Illustrated by Matthew Cordell. Hyperion, 2012. Mr. Schu: I know that librarians and teachers around the world will tell their students about hello! hello! What are three things you would want anyone booktalking it to mention or point out ? 1. Be present. In our world of ever-shortening attention spans, it has become difficult to be conscious of and present for the people sitting beside us. Listen and talk. Ask questions. Pay attention. 2. Everything in moderation. Technology is fun and helpful in so many ways. But it is important to limit our time with our gadgets so that we can spend quality time with the people we love. Just as it is unhealthy to have a whole cake but tasty to have one slice, it is also unhealthy to spend hours alone on the computer or phone or game device, but fun and engaging to spend shorter, more reasonable times playing games or on the internet. 3. Create and be created for. It is wonderful to find and appreciate and learn from things that have been created for us by others. Books, television, games, art. But it is equally as important to use our own minds to create something for the people we love and for ourselves. Express yourself. Make something. Never stop using your imagination. Another Brother. Illustrated by Matthew Cordell. Feiwel and Friends, 2012. This is not just "another" picture book about sibling rivalry. It is fresh and fun. Check it out. Now! Good News, Bad News. Illustrated by Jeff Mack. Chronicle Books, 2012. I wrote Good News Bad News to find an answer to this question:"Can two characters be friends when they have opposite attitudes about everything?" By writing it, I decided the answer is "Yes!" Not only that, they can become ever better friends once they learn to see things from each other's point of view. Plus, their struggles can be pretty funny. With a lot of bad news, if you look for humor, you'll probably find it. Extra Yarn. Illustrated by Jon Klassen. HarperCollins, 2012. Bear Has a Story to Tell. Illustrated by Erin Stead. Roaring Brook Press, 2012. I rarely beg and plead for an advance reader's copy (ARC). I follow strict ARC etiquette during conferences and always feel extremely uncomfortable emailing a publisher for a galley. However, I am determined to get my hands on an F&G (folded and gathered) of Bear Has a Story to Tell. (Macmillan Kids, are you reading this post? Boy + Bot. Illustrated by Dan Yaccarino. Random House, 2012. Author Ame Dyckman and author-illustrator Dan Yaccarino interviewed each other about Boy + Bot. DAN: Are you really a robot and this book the first step for you to reveal it to the world? AME: Affirmative! Um... I mean, no. *AME: How old were you when you first wished for a robot friend, and what did you imagine they would be like? DAN: I've been wishing for my very own robot buddy my whole life! I even wrote and illustrated a book called IF I HAD A ROBOT. I guess I imagined him to be much like Bot, big, happy and of course red. All robots should be red, except of course the silver ones. He would be my best friend and we would do everything together. *DAN: How does it feel to have your first book published? AME: I’m tremendously happy! When I got my preview copy, I carried it around all day like a little kid with their favorite toy. On release day, I’m going to buy hundreds of copies and use them to build a little BOY + BOT fort in my living room and do all my writing in there from now on. *AME: Is Boy's spiky hair a nod to anime? DAN: I grew up watching Astro Boy and I also loved Tin Tin, so maybe it's a reference to them. Also, I have a cowlick. *DAN: Why picture books? Why not YA novels or chapter books? AME: My Writing Voice is four years old. We can only do a few hundred words before it needs a nap.Also, while I like YA and chapter books, I LOVE picture books. *AME: Were any of the characters in BOY + BOT drawn based on people (or robots) you actually know? DAN: No, not really. I like to invent things or draw out what I'm thinking. DAN: I thought there needed to be another robot of some sort at the Inventor’s lab. I imagine the light bulb as the Inventor’s first attempt to create a robot. Maybe I'm reading too much into it. *DAN: Any more books about robots coming? AME: There are more BOY + BOT adventures in my head, and one or two already on paper. I hope everybody else will be able to see them someday, too. *AME: Did you ever dress up as a robot for Halloween? Will you this Halloween? AME: (giggling) That’s what you think! A Rock is Lively. Illustrated by Sylvia Long. Chronicle, 2012. Green. 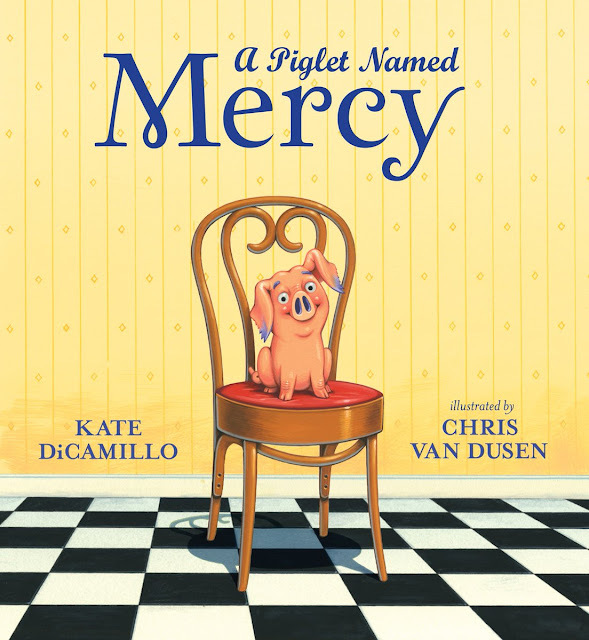 Illustrated by Laura Vaccaro Seeger. Roaring Brook Press, 2012. 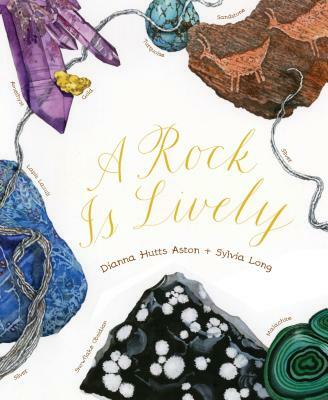 "Green presents this talented creator working at the top of her craft--with assurance and creativity." And Then It's Spring. Illustrated by Erin Stead. Roaring Brook Press, 2012. Laundry Day. Illustrated by Maurie J. Manning. Clarion Books, 2012. Kali's Song. Illustrated by Jeanette Winter. Random House, 2012. Mr. Schu: What planted the seed for Kali's Song? Jeanette Winter: I saw a concert by the folksinger Buffy St. Marie, at which she played a mouth bow, and talked about how music was first made from a weapon, thousands of years ago. I found a cave drawing from France that depicted a man (perhaps a shaman), playing a mouth bow, surrounded on all sides by animals. The cave drawing was the seed for KALI'S SONG. 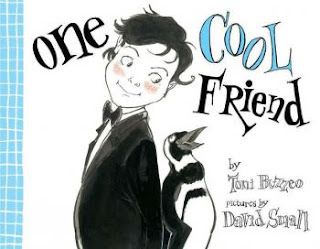 The text and illustrations work together beautifully to tell a story that will stay with readers for many years. What came first: the text or the illustrations? Jeanette Winter: A rough picture, or 2 or 3, came first. I wanted to 'see' the setting of the story. Then came a rough draft of the text. Then a small dummy of the book, all the while changing the text and pictures back and forth until they worked together. I'm working on a book now where the text came first, but sometimes all the pictures are finished before I write the text. Each book is different. Oh, No! Illustrated by Eric Rohmann. Random House, 2012. Unspoken. Illustrated by Henry Cole. Scholastic, 2012. "This is what can happen when an established illustrator makes a book close to his heart. It feels like a statement. An excellent jumping off point for Civil War and Underground Railroad studies. Readers won’t soon forget it." A Home for Bird. Illustrated by Phillip Stead. Roaring Brook Press, 2012. Step Gently Out. Photographs by Rick Lieder. Candlewick Press, 2012. This Is Not My Hat. Illustrated by Jon Klassen. 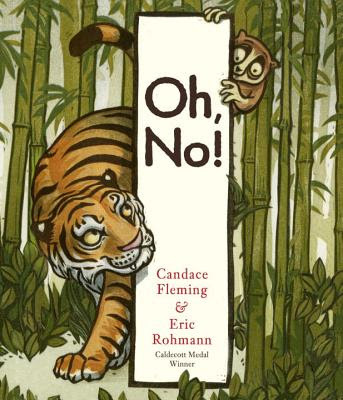 Candlewick Press, 2012. I read This Is Not My Hat to eight classes. I will always remember the fifth-grade boys (who don't typically laugh out loud) laughing hysterically at the little fish in his bowler hat. Every class gave it two thumbs up. Nighttime Ninja. Art by Ed Young. Little, Brown Books for Young Readers, 2012. When will I recommend Nighttime Ninja? 1. A kindergarten teacher: "I love doing creative drama exercises with my students. Can you help me find an interesting and engaging picture book that's good for a narrative pantomime activity?" 2. A third-grade teacher: "My son is going to be a ninja for Halloween. Can you recommend a picture book with a ninja as a main character?" 3. Colby Sharp: "We need to work on our 2013 Mock Caldecott list." Boot and Shoe. 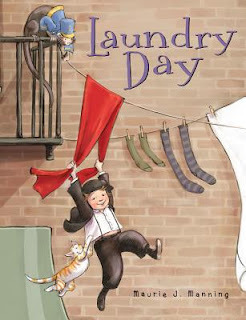 Illustrated by Marla Frazee. Simon and Schuster, 2012. 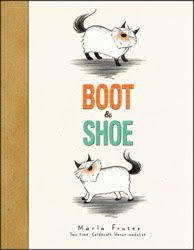 Margie (AKA @LoveofXena) wrote the following about Boot and Shoe's illustrations. "Using black pencil and gouache most of her illustrations are small studies carefully held in the hands of white space further adding to the charm of this story. Five of the visuals cover two pages to enhance emotional impact." One Cool Friend. Illustrated by David Small. Penguin, 2012. Fifty Cents and a Dream. Illustrated by Bryan Collier. Little, Brown Books for Young Readers, 2012. Fifty Cents and a Dream includes everything I look for in a picture book biography: illustrations that extend the text, accessible and clear language, a timeline, an author's note, an illustrator's note, and a bibliography. 16 books I have to buy! Eek! Awesome list! Thanks for sharing them - I'm defintely going to share these with my 4th grade class and participate in the Mock Caldecott group! Would you post your criteria for the Caldecott after you Skype with Colby's class? 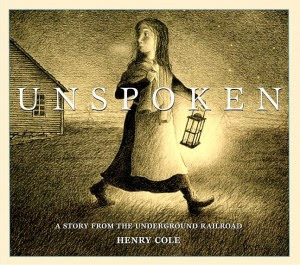 So excited to already have 1/2 of these in my collection, I will be picking up the rest to run my own Mock Caldecott. Looking forward to sharing with my K-4 students. Very excited to have half of these in my collection already. I just picked up the other half. Looking forward to our Mock Caldecott. I have done one for the last few years and the student love being part of the selection team.